Ahoy there! This is part 2 of Jonathan Lim's story of his Semester At Sea, where he literally ate, slept, and had lessons on a ship for a whole month. 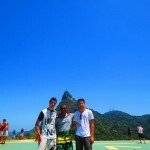 In between sailing the big blue ocean, he was fortunate enough to visit quite a number of cities in Latin America. 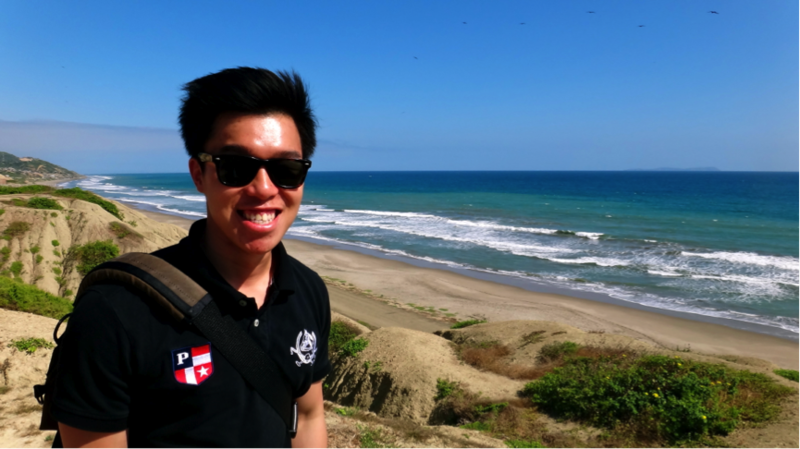 In this story, Jonathan tells us about his adventures in Peru and Ecuador. Read Part 1 here. Enough with talking about shipboard life, now for the main reason why I embarked on the Semester at Sea programme in the first place – the countries! After four days of non-stop sailing, some monotony was beginning to creep in. It wasn’t long before all of us were eagerly lying in wait, not so patiently, for our first and southern-most destination that is Peru. PERU: CEVICHE WITH A SMILE! 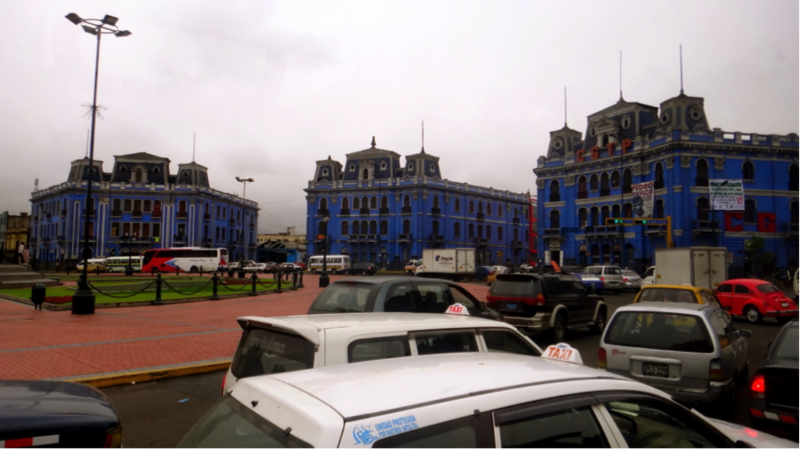 We docked in the port city of Callao, which happens to be adjacent to Lima, Peru’s capital . 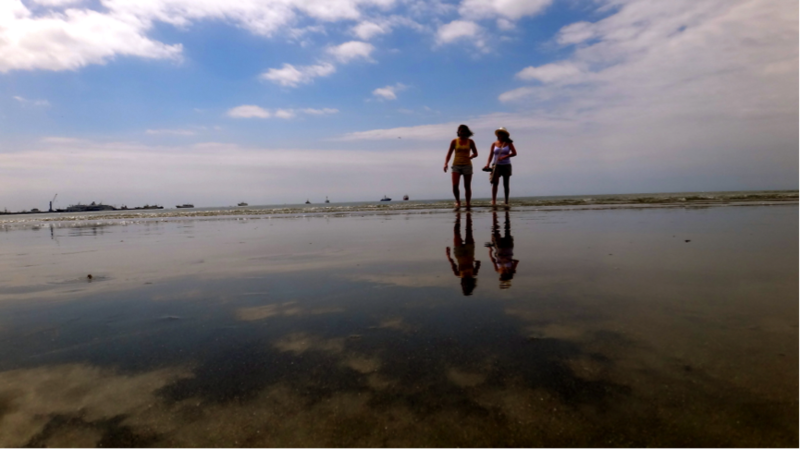 Naturally we headed straight to Lima, given that most of the history, culture, and bustling activity was there. 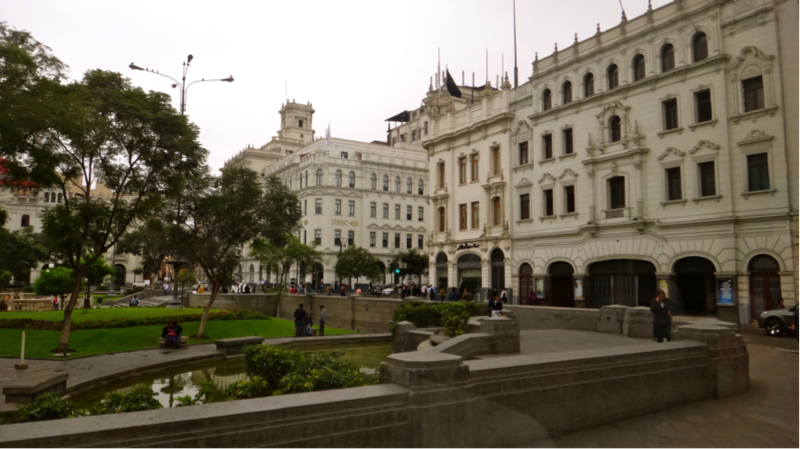 One of Lima’s city squares. I’ve always been fascinated by how cities intentionally design urban spaces to create a coherent public space for its people, and this was one great example: each city square is painted in a particular colour. You can see from this picture that this bustling square is decked out in lavender-blue hues. Also, being from young Singapore whose buildings tend to be overly modern, the Spanish colonial architecture that dotted the city centre of Lima was awe-inspiring. 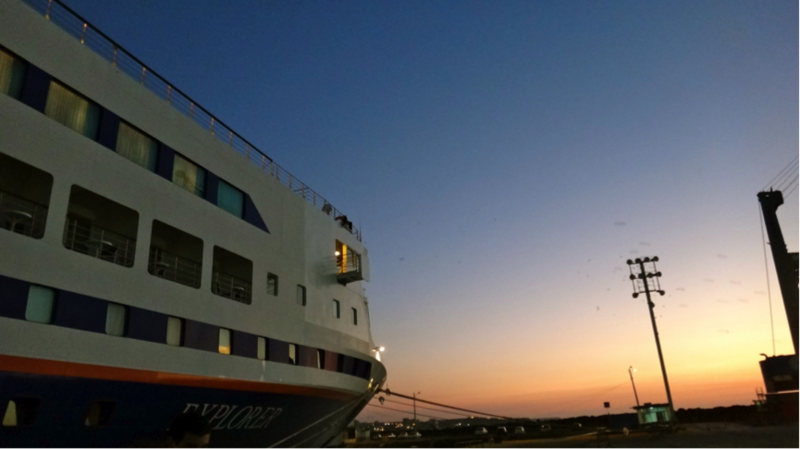 While docked at a particular country, we were given a few days of time entirely to ourselves – no lectures, no exams – to really take in and explore the place on our own. We also had the option of signing up for tours and activities organised by the Semester at Sea programme if we wanted something a little more niche. Now at this point you must be wondering as to why I didn’t choose to go to Machu Picchu; the trip turned out to be incredibly expensive, and I figured that I should do things that I wouldn’t be able to do on my own private trip to Peru! Another city square in Lima, this time painted entirely in vintage white. It’s not really visible from this hastily taken photo, but design standards are strict to the point that the signboards of shops and food stalls have to be in universally standardised black. The big logos of ‘KFC’ and ‘Burger King’ were familiarly ever-present, but were all in monochrome to comply with the city square’s regulations. 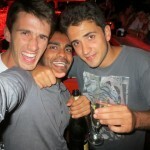 One thing I regretted slightly was my inability to speak Spanish. This prevented me from really reaching out to the locals and getting a personal sense of how they are, and how their lives are. I was thankful nevertheless, that I had a brilliant Brazilian friend who could converse fluently in Spanish, and she gradually earned an unofficial reputation among our small group of friends as the go-to translator. It was great that she was incredibly outgoing and friendly too; we got the chance to talk to a couple of Peruvians in the process. One person we talked to was our loyal taxi driver Gustavo. We had to get around on our own in Lima, and getting to places by taxi was quite a cheap and failsafe option. We met Gustavo on our first day of arriving in Callao and we soon quickly realised that he was a gem of a taxi driver: warm and friendly, and willing to help us with whatever inane requests we had. We asked him for historical sites to go to, and he would suggest a few; when it came to proper Peruvian food places, he called his daughter up (who I gathered was some kind of food and nightspot connoisseur) to ask for recommendations. He would also never fail to appear punctually by the roadside after all our various visits. Through our Spanish-speaking friend we learnt through the many trips about his life, and his family. 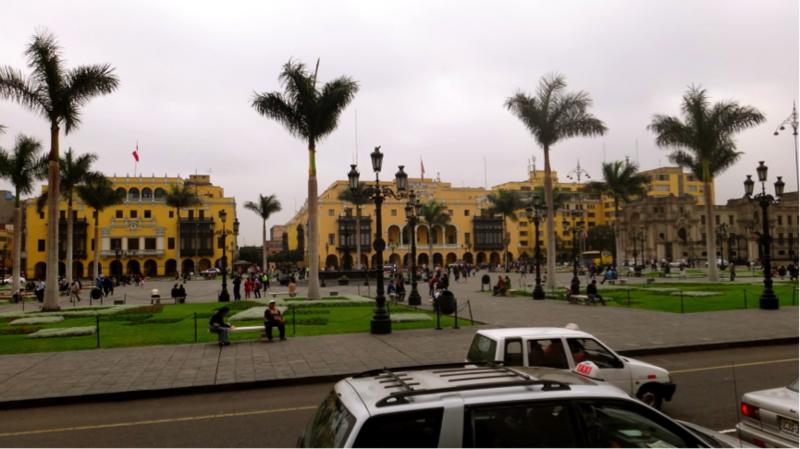 This city square is the historic centre of Lima, where most of the government buildings and the oldest cathedrals are. It’s also a UNESCO World Heritage Site, and is hence religiously upkept to the highest standards! Right in the centre of this square lies a pretty interesting fountain – it is said that once every year, the fountain spews infinite amounts of Pisco, Peru’s national (and heavily alcoholic) drink. People would then form a long line just to enjoy a free cup (or two, or three, or more…). All of us were prepared by the global studies class on Peru before we docked in Callao, to look out for certain societal nuances such as socioeconomic inequality along racial differences. It wasn’t long before we figured out the harsh reality that the fairer-skinned you are (i.e. more of Spanish ancestry rather than native Peruvian ancestry), the wealthier and better of you tend to be. We also learnt about the ancient Incan civilisation that used to dominate Peru (of which Machu Picchu remains one of their few standing structures), and native Peruvian tribes up in the mountains of the Cusco region. Especially in a staunchly Catholic country, it’s meaningful to visit places of worship in order to understand a place, its beliefs, and its culture. 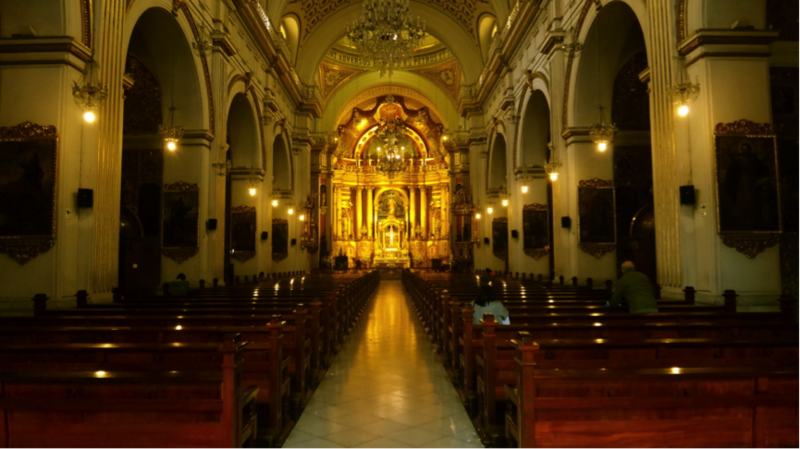 With the Semester at Sea programme, I embarked on a day exploration of Lima’s oldest cathedrals, and was pleasantly rewarded with visual and historical awesomeness. Apart from random explorations by ourselves around in Peru, we also got the chance to participate in certain academic trips if we took up certain classes. I mainly dabbled in Comparative Politics and International Relations classes, but other students had their hands full with different kinds of projects. Soon, we reluctantly departed from Peru after experiencing such a wonderful first destination. The countries are slowly going to run down, and eventually this month of pure liberated exploration was going to end. In brimming excitement most of us eagerly waited on board, amidst seminars and countless dinners and socials, for the next country as we travelled up north: Ecuador! 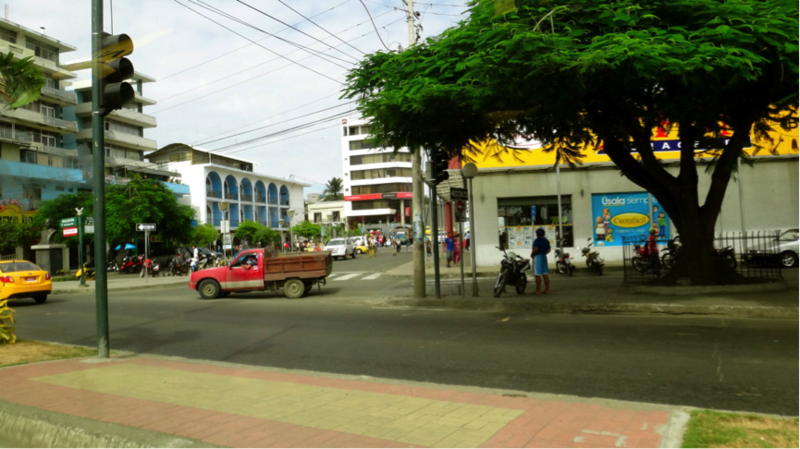 Two days later, we arrived in the port city of Manta, Ecuador. 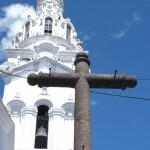 This time it was slightly different; Manta was a certain distance away from Ecuador’s capital Quito, so while some students took a short flight to Quito to experience life in the main city, my group of friends and I decided to explore the suburbs and nature around the vicinity of Manta. 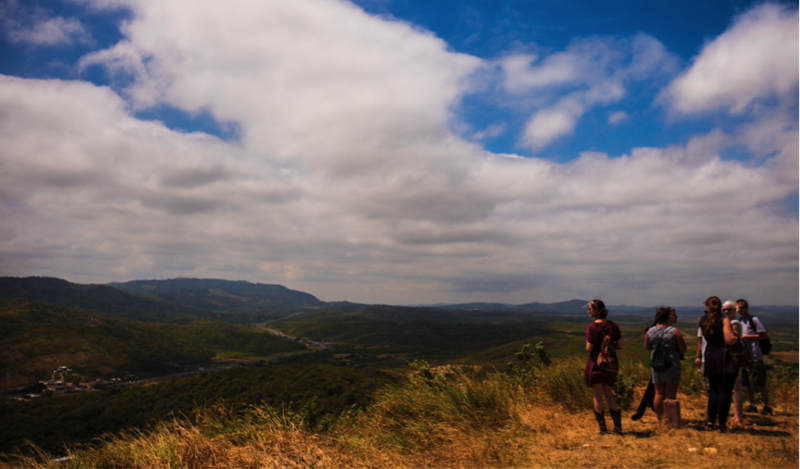 This time it was not so much getting to know the culture and people, but more of appreciating the great outdoors. Not to mention, the waters were very surf-worthy, and of course we wouldn’t leave without taking a board out to sea and riding the waves for a bit. 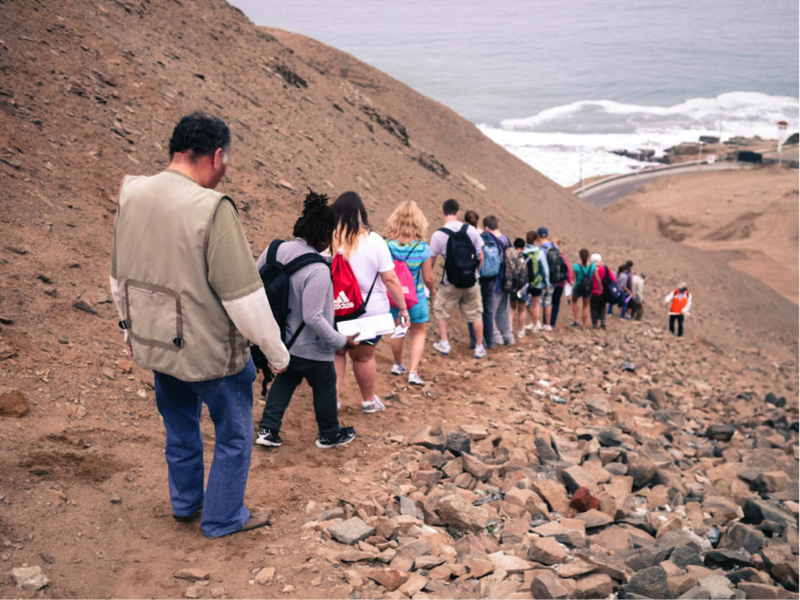 Some students also flew off to the Galapagos Islands to experience the abundant diversity of wildlife there, but that trip itself was very pricey. Manta is after all a port city next to the ocean, so the seafood was incredibly fresh and affordable. 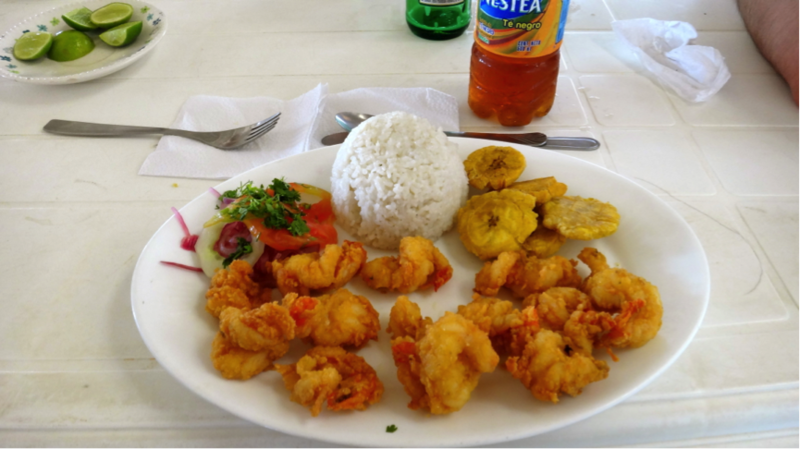 This hearty lunch comprising of shrimps, plantains, and rice cost me about USD$3, and at some point I did remember having a bucket of fried shrimp for just about USD$5. Seafood-lovers (most Singaporeans, naturally), take note! …because here, the waters were extremely pristine! Spending most of my life in Singapore whose waters have been dominated by ships and vessels, pure blue seas are an incredibly rare sight. 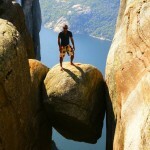 I recall being transfixed here for a long while before I decided that I really should get moving. Managed to catch a nice snapshot of the sunset before we boarded the ship after a long day. The general air in Manta was pretty laid back, with most local Ecuadorians going about their daily matters with a general easiness and then celebrating the end of the day in the evening with good hearty food and drinks. 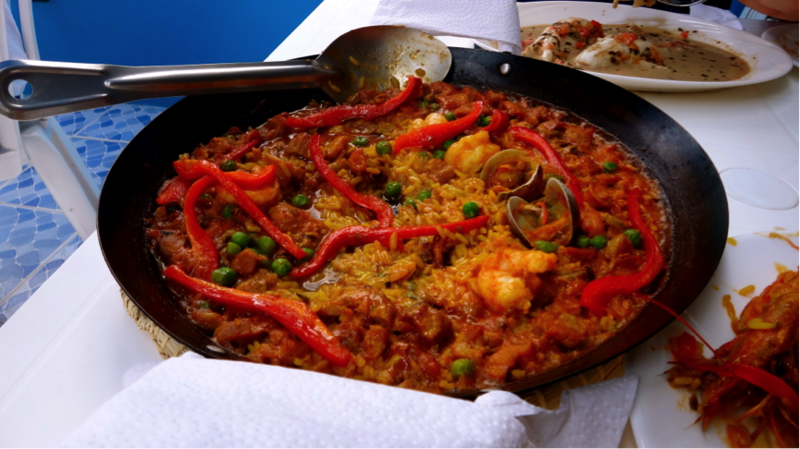 There’s nothing like an extremely fulfilling pan of Paella (pronounced Pa-e-ya; Spanish-ignorant Jon learnt after a while that two ‘l’s put together in Spanish form a voiceless ‘y’!) before leaving Ecuador. I mean it. My time in Ecuador was also partly a sociological experience, because of the International Human Rights class that I was taking. Within the seminar, I was assigned to look into the human rights record of Ecuador, and through this research process I found various human rights cases that have been, as well as are being, processed by the Inter-American Court of Human Rights. Much of the time spent on the streets of Manta was spent keeping my eyes wide open to get a perspective of life on the ground. I soon learnt very quickly that you simply can’t replace chalkboard learning with being present in the very environment that you are studying. There is really little point in sitting behind in the safe zone, learning about things safely from afar, and then developing a detached perspective of a region which hasn’t been conditioned with flesh-and-blood presence. It wasn’t long before we had to set sail again. At this point, two countries in, all of us were starting to feel the effects of having experienced places we have never been to before. We were physically exhausted day after day, but most of us were bright-eyed and excited to hop onto what was in store for us next. I was particularly keen on the next country, because I had a short conversation with my global studies professor about how this country outwardly expressed its intention to be the ‘Singapore of Latin America’. Next up, was going to be the beautiful country of Panama. 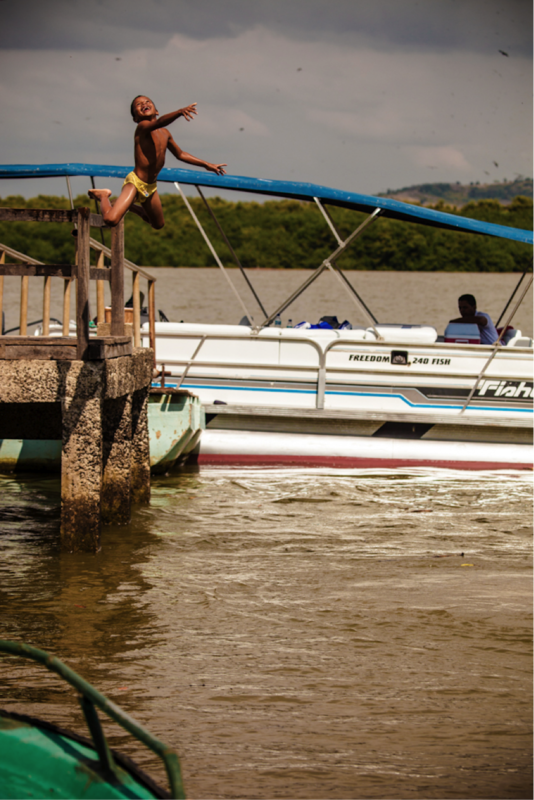 In the next article of this series: Bustling Panama, and gorgeous Costa Rica!